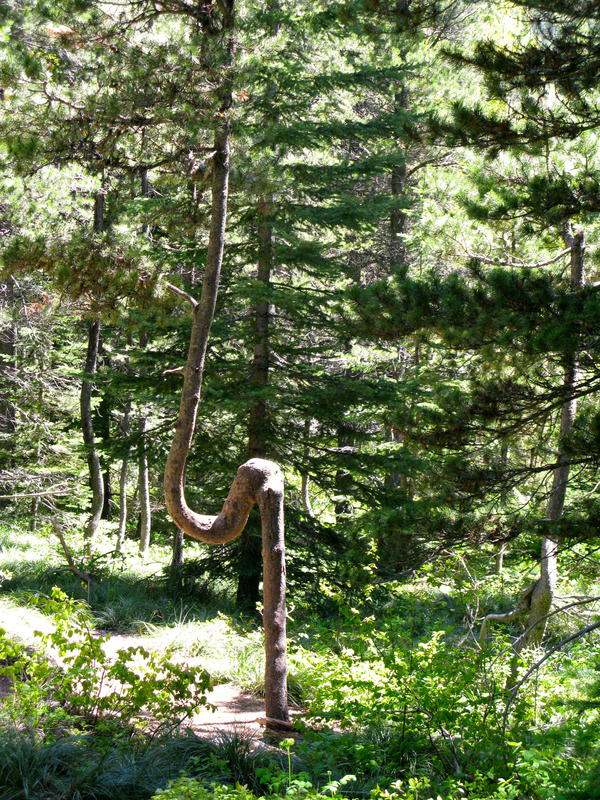 A few years ago when Sheila and I were hiking in Glacier National Park we came across this tree that had a 'detour' in its growth. Not sure what caused the event (maybe a bear pushing on it or ??). Nice find! With several other bent trees in this image, I'm guessing snow break and snow pressure.